An assignment in class was to write a short scene explaining the poem THANATOPSIS by William Cullen Bryant. I wrote a scene and couldn’t stop so I wrote a whole play. One day my English teacher slid a desk over to mine with the play in her hand. She looked me straight in the eye and told me I had talent and that I should pursue writing as a career. To be honest, I didn’t believe her and I pursued a degree in political science instead of creative writing. While I didn’t pursue writing as a career at the time, that moment always stuck with me. I think storytelling connects us like separate threads in a loom to be weaved. It gives us the ability to relate to a character and therefore a way to relate to each other. One of my favorite books is S.E. Hinton’s THE OUTSIDERS. It was the first book I read as a teenager that I related to. I love Stephen King’s THE STAND. To remember to take deep breaths and enjoy the moment. 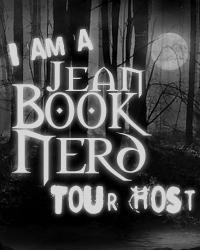 In your new book; Dare to You, can you tell my Book Nerd community a little about it? DARE YOU TO tells the story of seventeen-year-old Beth Risk, who finds her life turned upside down at the beginning of her senior year. Forced to leave the mother she’s always protected and the only friends she’s ever known, Beth must start over at a new school, in a new town, with an uncle she hasn’t seen in years. The last thing she wants is to catch the eye of the town’s golden boy, popular jock Ryan Stone, who seems determined to win her over for all the wrong reasons. But when she discovers that Ryan has secrets of his own, Beth is drawn to him despite herself. Soon she’ll have to make a choice—between the past that beckons her back, and the life she never dreamed possible. What part of Beth did you enjoy writing the most? Beth’s internal thoughts and her comebacks could make me laugh. On the flip side, her deep vulnerability broke my heart. She is a very complex character and I loved having the opportunity to write her story. On the outside, Ryan is perfection. All the guys want to be him and all the girls want to date him. He’s the town’s golden boy and the star pitcher for his high school baseball team, but Ryan is hiding secrets. Ryan is also a romantic at heart and he’s the one person who can bust through Beth’s walls. I’m currently working on revisions for CRASH INTO YOU which follows the story of Isaiah. He’s a secondary character from PUSHING THE LIMITS and DARE YOU TO. On April 1st, my first e-novella, CROSSING THE LINES, will be released. This story focuses on Lila, Echo’s best friend from PTL. I would love to overhear a conversation between Noah from PUSHING THE LIMITS and Ponyboy Curtis from THE OUTSIDERS. They both lost their parents in a tragic accident and I think they could easily relate to each other. I love my living room. It is painted a beautiful sky blue and has lots of pictures of my family. As for outside, I love to sit on my front porch swing. I was a teenager during the 1990’s. Overall, I enjoyed being a teenager then so I think I’d keep that as my choice. I was fourteen and it was the fall of the year. My boyfriend was holding my hands and we were laughing over a joke he had told. He grew suddenly solemn and he backed me up against the trunk of a nearby tree. He leaned in and gently kissed my lips. I swear, the world completely tilted. It took me several months to tell my husband I loved him, even though he had told me he loved me first. 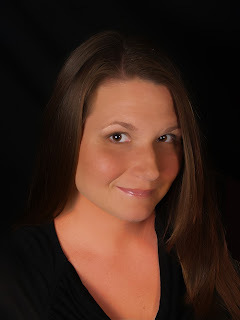 My readers can find me at my website: www.katielmcgarry.com. I’m also on twitter @katiemcgarry, Facebook, and Goodreads. 1 Winner will receive a Copy of Dare You To by Katie McGarry. Your books are on the top of my TBR pile. Thanks again. Thanks for an awesome giveaway Jean!! This seems like a good one! Thank you Jean!